The multidimensional impacts of climate change necessitate participation of large scale organizations in the management of vulnerability to climate change. Operating at multiple levels of governance, these organizations help manage the deleterious effects of changing climate for different sectors of human-environment systems. How they frame vulnerability, what influences their framings, why are their framings aligned or misaligned: while these are critical questions for managing vulnerability, they are often overlooked in the literature. By ‘framing’ we mean how actors understand and evaluate key factors of vulnerability. Through a case study in Bangladesh, we analyze how vulnerability is framed by the leading organizations across five sectors and three levels of governance. Drawing from key-informant interviews, we developed a spatial multi-criteria decision analysis (MCDA) approach and identified vulnerability hotspots. With few variations, our study reveals that the framings of vulnerability are mostly aligned across scale irrespective at which stakeholders are operating. Collectively, proximity to river/sea along with poverty, schooling, cropping intensity, soil salinity, and availability of multipurpose disaster shelters are identified as key determinants of vulnerability by all organizations. They prioritize infrastructural and agricultural development as basis for vulnerability management. We argue that similarity of the understanding of vulnerability across scale would facilitate adaptation decision-making process. 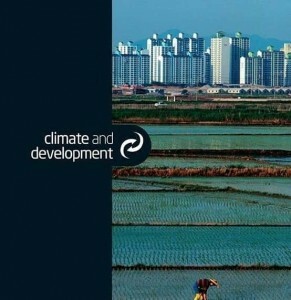 However, less focus on socio-economic criteria can undermine the success of adaptation initiatives. While the findings of this study can assist the decision-makers of Bangladesh in coastal vulnerability management, the methodological approach should be useful to assess coastal vulnerability in other parts of the world as well.